The Yarmouth Police Department is honoring the life of slain Sgt. Sean Gannon on the 1-year anniversary of his death. Yarmouth police posted a 4-minute video tribute about Gannon on its Facebook page Friday. The video shows numerous images of Gannon, his family, and images of him and his K-9, Nero, on and off the job as the song "Let It Be" plays in the background. "Just be like Sean and the world will be a better place," the department said on Facebook. They also shared the text of an op-ed by Gannon's wife published earlier this week in the Cape Cod Times where she thanked the community for their outpouring of support following her husband’s death. She noted the multiple letters, drawings and homemade meals she received following the tragedy. 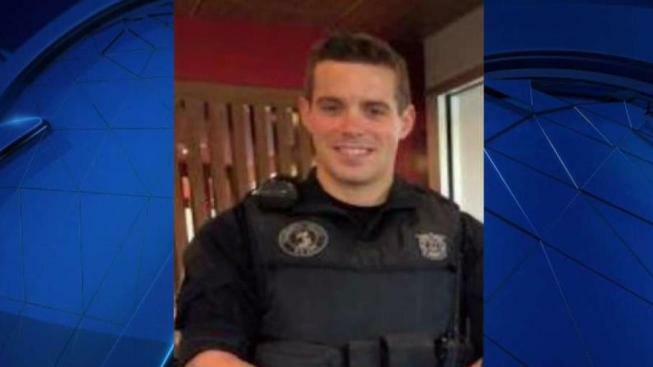 Sean Gannon was shot and killed on April 12, 2018 when he was serving a warrant at a Cape Cod home. He was taken to Cape Cod Hospital, where he died. Gannon’s K-9, Nero, was also shot and underwent emergency surgery. He has since recovered. Dara Gannon urged anyone who wants to remember Sean to do so by reaching out to their loved ones or helping others. From turning a wrong into a right, paying for a stranger’s coffee or simply saying hello to an old friend, Dara says "no gesture is too small." The gunman who shot Sgt. Gannon, 30-year-old Thomas Latanowich, was indicted in the officer’s murder and on eight other charges.